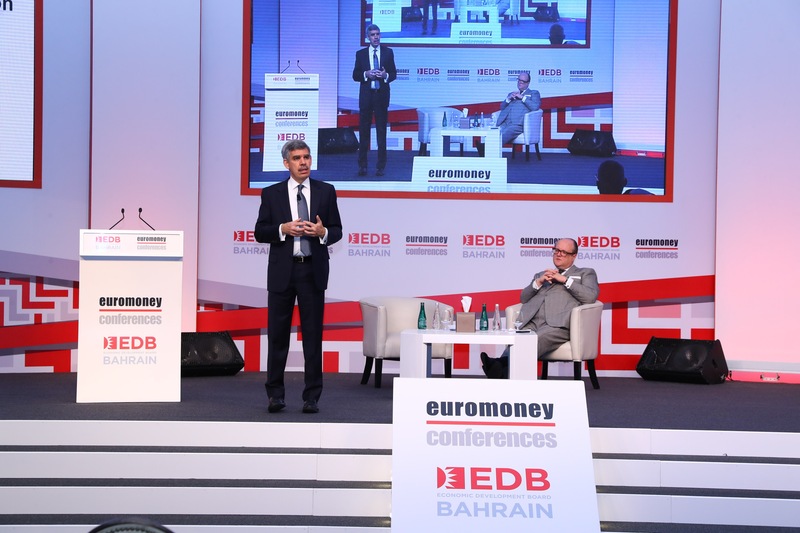 The 7th edition of the GCC Financial Forum by Euromoney Conferences and co-hosted with the Bahrain Economic Development Board (EDB), began today in Manama. The event was officially inaugurated by David Pritchard, Acting Chair of Euromoney Institutional Investor, who addressed the audience with a welcome speech on behalf of Euromoney Conferences. 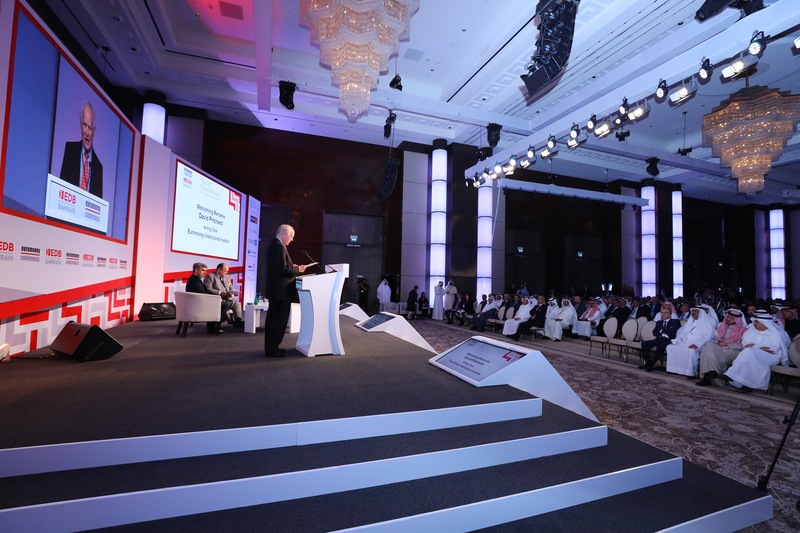 More than 700 leading financial experts, business leaders and government officials attended the event from across the MENA region as well as from Europe and Asia. The opening keynote session was delivered by leading international economist Mohamed A. El-Erian, Chief Economic Advisor at Allianz, who focused on the current economic climate, geopolitical risks and the implications of digital disruption for the financial industry worldwide. 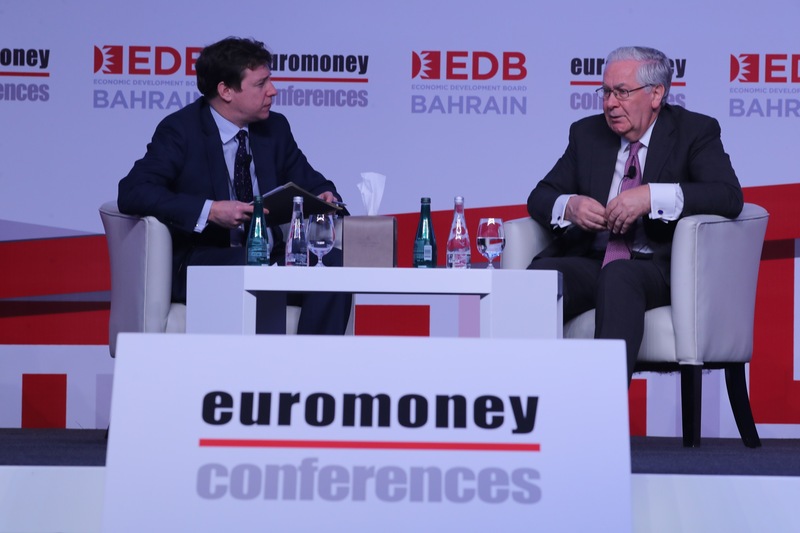 Lord Mervyn King, Economist and Former Governor of the Bank of England, also gave a keynote interview at the event. He spoke about the global history of transformation in the banking sector, drawing a comparison to the technological innovation drive witnessed currently. He reminded participants of the crucial role of central banks in anticipating the needs of market participants and ensuring financial soundness of the sector amidst monumental changes. In a keynote interview with HE Mr Khalid Al Rumaihi, Chief Executive of the Bahrain Economic Development Board (EDB), he shared insights into Bahrain’s collaborative approach bringing together government, regulators and the private sector to create an enabling environment for disruption and innovation. He highlighted the significant progress made over the past twelve months, including Amazon Web Services’ decision to launch its first Middle East Region in Bahrain, the CBB’s establishment of a regulatory sandbox and crowdfunding regulations. He explained how this underpins the growing momentum behind Bahrain’s FinTech ecosystem with the launch of Bahrain FinTech Bay this week. The opening panel on day one focused on Innovation and the shape of the financial system of the future which featured speakers from Bank ABC Group, C5 Accelerate, Amazon Web Services and IBM who explored how the financial sector of the future will look in 20 years’ time covering topics such as; CryptoCurrency, Big Data, cloud computing, reg tech and artificial intelligence.